ARKTOI BOOKS, an imprint of Red Hen Press, was established in 2006 by Eloise Klein Healy to publish literary works of high quality by lesbian writers. The mission of Arktoi Books is to give lesbian writers more access to "the conversation" that having a book in print affords. Submissions by both new and established authors are welcome. See the schedule below for submission dates. Each year the imprint will publish a minimum of one book. 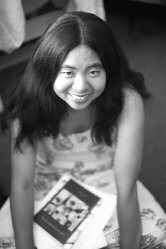 Ching-In Chen is the daughter of immigrants and a proud Kundiman Asian American Poet Fellow. Past occupations include karaoke singer, flautist, 1st grade literacy teacher, community organizer, construction job counselor, and a severely lost person in the Rocky Mountains. 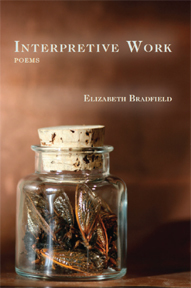 Her poems have recently appeared or are forthcoming in CRATE, Tea Party, Fifth Wednesday Journal, OCHO and Yellow as Turmeric, Fragrant as Cloves. Currently, she is in the MFA program at the University of California at Riverside. Her first collection of poems, The Heart's Traffic, will be published by Arktoi Books in early 2009. The Heart's Traffic is a series of connected poems about the adventures of Xiaomei, a girl who slowly discovers her own gifts through her ability to shape stories. Interview in "The Other Side of the Eye"
white and backlit by sun. of hunt, of epic migrations. after a day of watching whales. for a brief time visible. Each year, submissions will be accepted from August through November. Submissions sent at other times will be returned unread. Poetry manuscripts should be between 50 and 80 pages. Fiction and nonfiction manuscripts may be of any length. The cover page of the manuscript should include the name, address, phone number, and email address of the writer. A cover letter, sent via email with a poetry manuscript (and hardcopy with fiction or nonfiction manuscript), should present a short biographical statement by the writer and and overview of the work. as should inquires about the press. will be accepted in fiction. will be accepted in poetry. will be accepted in nonfiction.